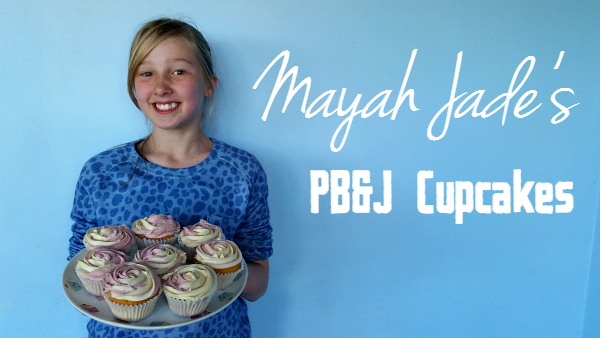 My eldest daughter has been dreaming up ways to make some new delicious cupcakes, and after a bit of inspiration from a book she was reading recently, we decided to create our own recipe for some simple Peanut Butter & Jam Cupcakes! These cupcakes were fun to make, and so delicious. 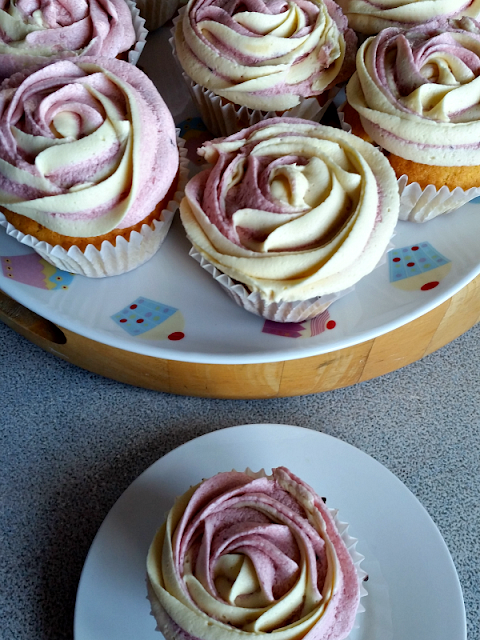 The cupcake batter has a peanut butter flavour with a surprise bit of berry jam in the middle and are iced with a delicious twisted peanut butter and jam buttercream icing. 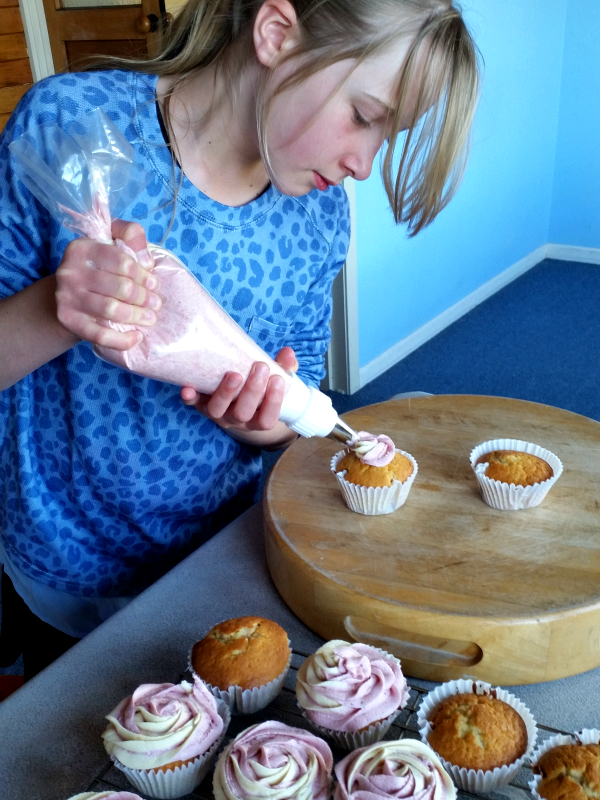 Using a basic cupcake recipe I have, we tweaked it a bit and shared below. Hope you enjoy it, or are inspired to create your own delicious flavours! The recipe below makes 12 cupcakes, but can easily be doubled to make more. Preheat oven to 180°C and and line your cupcake tins with paper cases. Put all ingredients in a bowl and beat on medium speed for five minutes. Fill cases half way, then place small teaspoon of berry jam on top of each cupcake. 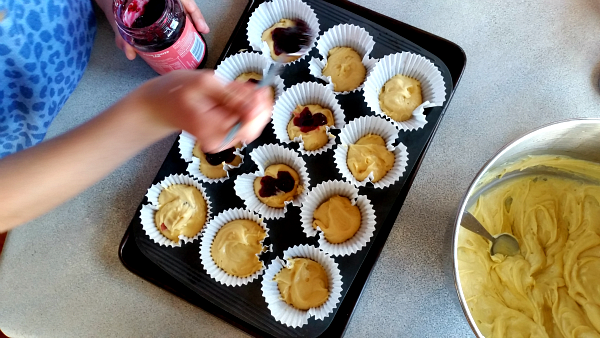 Finish by topping off each cupcakes with the rest of the batter to cover jam. Bake cupcakes in the oven for approx 20-25 mins. Once cooked, remove from oven and cool on wire rack, ready to ice when cool. Place softened butter in mixer with icing sugar and mix until light and fluffy (add a few drops of milk if needed to soften). Once ready, separate icing into 2 bowls and add peanut butter to one and mix, and jam to other. 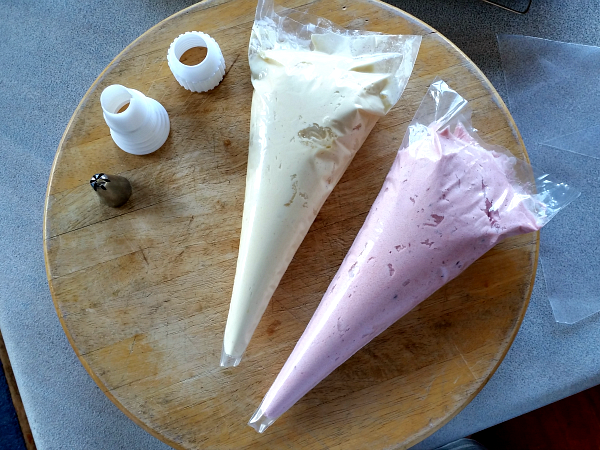 Place each of the icings in separate small icing bags (we got ours from local and online supplier Kiwi Cakes) and place together in large piping to get the swirl effect. Oh my word! This is fabulous! 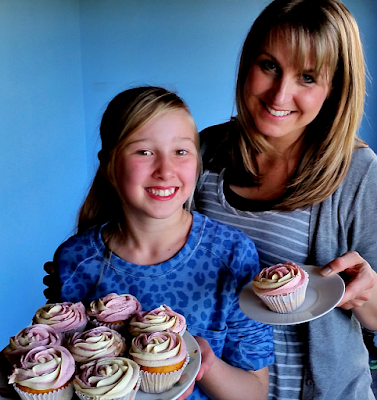 Well done you baker girls, you!